One tour is included with conference registration. Guest passes are available for purchase for $35. For many years people have traveled extensively to locate a unique and exciting adventure exploring Louisiana's back country with its meandering bayous and swamps. Cajun Pride Swamp Tours is a privately-owned swamp just 25 miles from New Orleans. Native Cajun Captains are all natural...homegrown in the Bayous of South Louisiana. With accents and humor, they will take you back to the early days of Louisiana bayou and swamp explorations. We invite you to join us on this education journey through the primitive beauty of moss-draped cypress trees and abundant wildlife. Animals living in the swamp, including the American alligator, seeing tour boats daily and recognize them as part of their normal environment. Unafraid and responsive to their boat captain's call, they peek out from underbrush and between moss-draped trees and shrubs, frequently coming directly to the boat. In the safety and comfort of the boat, you can actually come within a few feet of jumping alligators. As your boat drifts through the waterways, you will learn about the Louisiana Wetlands, the inhabitants of the swamp and the unique history of the Cajun town of Frenier within the Manchac Swamp. LSU is known for three things: the most passionate fans in the country, the only live tiger mascot on a college campus, and the best food imaginable at tailgates! This tour will explore all three areas that make being a Fighting Tiger so special to our team at LSU. The tour will begin with a tour of the LSU AgCenter Food Incubator and Sensory Labs. Established in June of 2013, the LSU AgCenter Food Incubator is a business incubator that specializes in developing emerging food ventures and providing technical services to existing and emerging companies. With the assistance of LSU College of Agriculture and LSU AgCenter faculty, tenants of the Food Incubator have produced over three tons of products with items ranging from hummus and salad dressings to candies, cookies, and other sweet treats. The next stop on this tour will showcase the pride and joy of LSU – Mike the Tiger. Mike VII joined the LSU community in August of 2017 where he has won the hearts of many with his curiosity and playful attitude. Join us as we visit with Mike’s personal veterinarian to learn how the LSU School of Veterinary Medicine cares for the only tiger living on a college campus! Lastly, we will embark on a tour of Tiger Stadium to learn about the history and triumphs of LSU football. Better known as ‘Death Valley’, Tiger Stadium is the most dreaded road site in America. 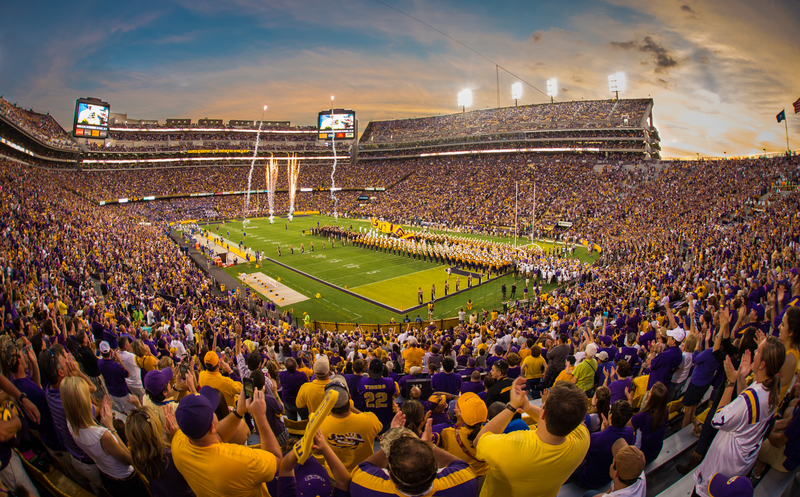 This tour will showcase the facilities and rituals of the LSU Fighting Tigers as well as our immense pride in LSU. Your tour will be split between touring one of the largest river models of its kind, to then exploring the largest craft brewery in Baton Rouge. 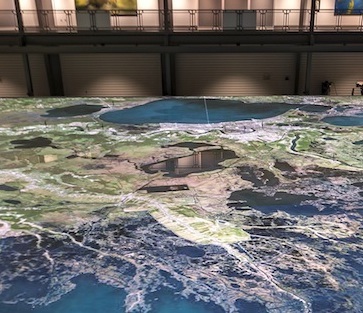 The LSU Center for River Studies, located near the banks of the Mississippi, houses one of the world’s largest movable bed physical models – The Lower Mississippi River Model. The model is 10,000 square feet and able to replicate the flow, water levels and sediment (sand) transport of the river. It showcases Louisiana’s working delta, Louisiana’s coastal program, and the research dedicated to coastal restoration and river management. Started by two childhood friends, Tin Roof Brewing Company produced their first batch of beer for commercial consumption in November 2010. Using only the finest American and European malts, freshest hops and pure parish well water, it is now the largest craft brewery in Baton Rouge. Fun Fact: Tin Roof’s Voodoo Pale Ale recently won a gold medal at the 2018 Great American Beer Festival. So, whether your’re a beer connoisseur or someone who wants to try something fresh and local, Tin Roof has you covered! Your tour will begin in Lakeland, LA at Alma Plantation and Sugar Mill. Alma to this day, is a working sugar plantation, that has grown and refined sugar continuously since 1844. The business is now in its fourth generation under the capable management of H.P. Stewart, Jr., & David B. Stewart. The mill is constantly being upgraded and is equipped throughout with modern machinery. It now has a grinding capacity of approximately 6,000 tons each 24 hours. Alma is one of only 11 sugar mills still operating in the state of Louisiana. 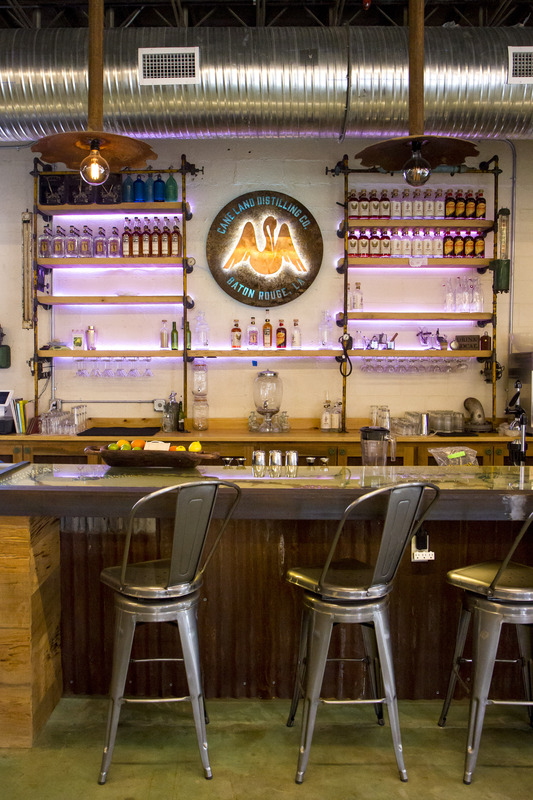 Following Alma Sugar Plantation, you will travel to Cane Land Distillery, Louisiana’s single estate distillery. Cane Land Distilling Company, LLC was founded in 2013 by Walter Tharp, whose family owns Alma Plantation & Sugar Mill in Lakeland, Louisiana. Today, Cane Land Distilling Company is in full production in very rare company. Owning the farmland on Alma, the sugar mill and the distillery allows for complete control of the production and distilling process. This results in one of the country’s only estate bottled producers of spirits and rhum agricole in the continental U.S.
Houmas House Plantation and Gardens, between Baton Rouge and New Orleans, is referred to as “The Crown Jewel of Louisiana’s River Road.” Your tour will take you back in time and allow you to experience the life of a wealthy Sugar Baron in the 1800s. The plantation was established in the late 1700s, with the current main house being completed in 1840 and a final renovation completed in 2003. It was named after the native Houma people, who originally occupied this area of Louisiana The property, containing the buildings and acreage was added to the National Register of Historic Places in 1980. More recently, it has been voted as the best historic mansion by USA Today. Houmas House has also played the backdrop in several movies, television shows, and commercials. . The Gardens of Houmas House Plantation have been developed as a lush panorama of indigenous Louisiana plant life and stunning exotics designed to beckon visitors to extend their stay. 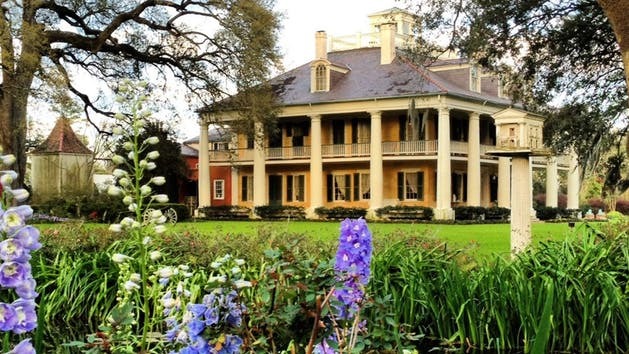 You will have the opportunity to tour the historic Louisiana plantation and explore the 38 acres of lush gardens while relaxing with a refreshing mint julep and enjoying the breeze off the nearby Mississippi River.